A brilliant neuro-cyberneticist attempts to rehabilitate her lost lover who, unable to feel emotions, violently questions his existence in a reality that is never what it seems. Starring Fernanda Romero - Drag me to Hell (2009), The Eye (2008), Rane Jameson - Spanners (2013) and Illeana Douglas - Cape Fear (1991), Goodfellas (1990) Celine gives life to her lost love and attempts to resurrect the past using her memories. Guillermo searches for who he is and fights for meaning between a fragmented past. 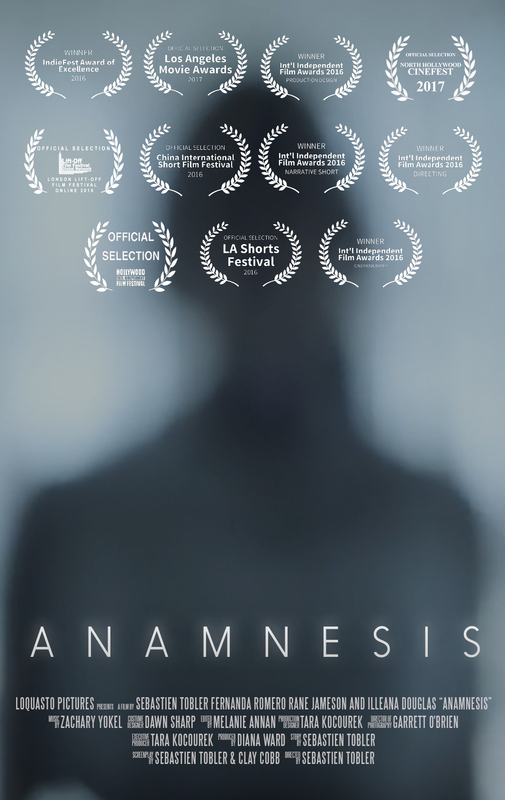 ANAMNESIS is a futuristic treatise on love and consciousness in seeing how far true love will take you. A brilliant neuro-cyberneticist attempts to rehabilitate her lost lover who, unable to feel emotions, violently questions his existence in a reality that is never what it seems.